The Pre-Raphaelite Brotherhood (PRB) was founded in 1848. The most important artist was a handsome and charming painter named Dante Gabriel Rossetti. 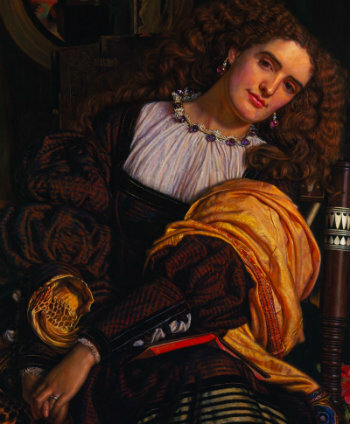 Rossetti and his chums, John Everett Millais and William Holman Hunt, rejected Neoclassical and High Renaissance art and embraced the spiritually infused works of the Early Renaissance, Byzantine Style and Gothic painters. They sought to created a new artistic style using biblical, mythological, and literary imagery as the subjects of their art-works. Their paintings often contain obscure visual symbols and secret riddles.